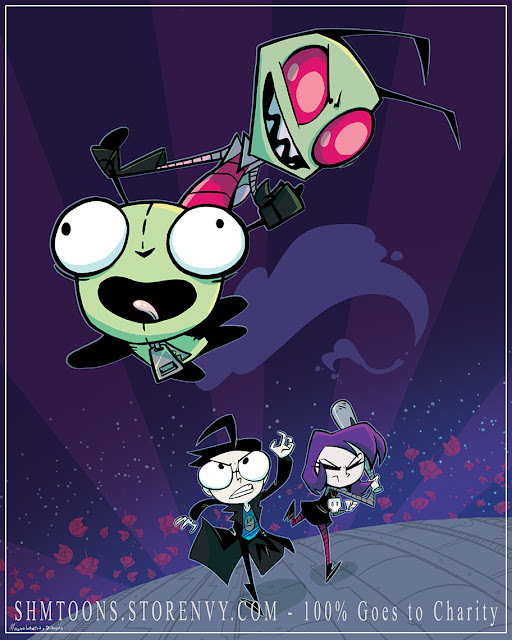 Of course, I got picked to do Invader ZIM for this year’s print drive, I couldn’t have gotten any other cartoon. Check out this one and tons of other prints drawn by students and alumni from San Jose State’s Shrunkenhead Man Club! This illustration is part of Saturday SHMorning Toons, an art print fundraiser celebrating cartoons from the 90s and early 2000s. 100% of the proceeds will go to Hartman House’s Watersprings Ranch, a nonprofit organization that assists at-risk children by providing them a safe space to grow and heal physically, emotionally, and spiritually. Available ONLY February 18-March 24, 2017 on shmtoons.storenvy.com!